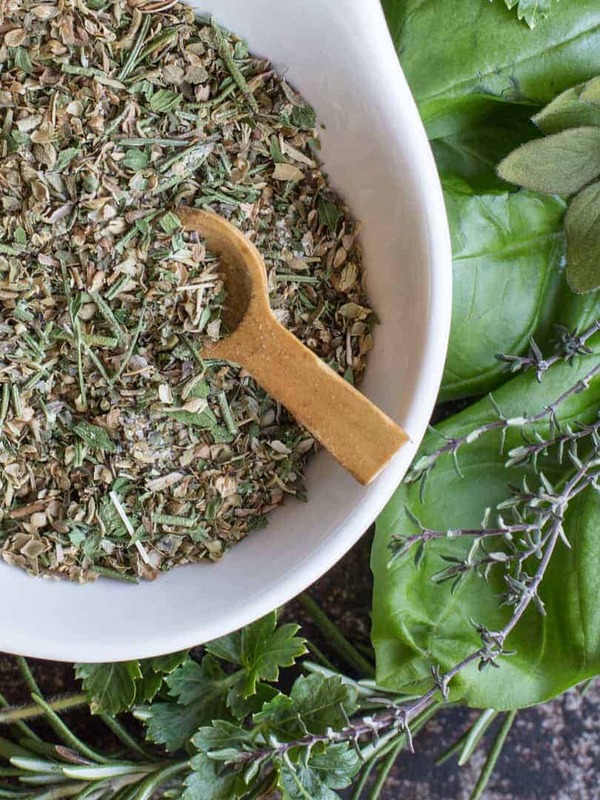 Creating your own delicious Italian seasoning and dressing at home is easy and quick with my recipe for Homemade Zesty Italian Seasoning and Dressing Mix. This is very similar to the little packets of dressing mixes you can get at the store but packed with more italian herbs and not a lot of salt. You can use this seasoning mix to create a wonderful vinaigrette salad dressing or use as a seasoning on roasted potatoes and other vegetables. Looking for a way to spice you your meats, then this zesty dressing will make a great marinade. I start with herbs I’m growing in our garden, drying them in my Excalibur Food Dehydrator. I find their flavor is enhanced because the dehydrator’s temperature range is low enough to preserve active enzymes in fruits, vegetables and herbs. They don’t get all dried out and crispy and they retain their color better. 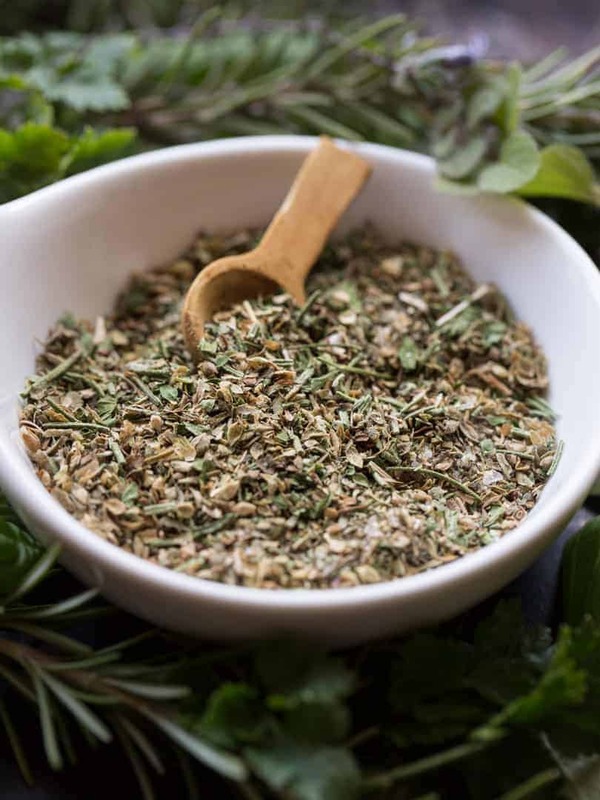 However purchasing good quality dried herbs will also make this seasoning mix a special zesty treat when preparing it for your meals. Creating your own delicious Italian dressing at home is easy and quick with my recipe for Homemade Zesty Italian Seasoning and Dressing Mix. Combine all ingredients in a jar, screw on top and shake well.